The DTNA Service Performance Development (SPD) class focused on diving further into the 7 pillars of continuous improvement driven by Elite Support. SPD attendees must qualify to receive an invitation from DTNA to participate in the event. To graduate from the program, the team is required to complete two continuous improvement events with one event focused on throughput. FNW-Olympia, WA was a part of the first dealers to pilot the SPD event in 2017 and the team is continuously working towards their CI even goals. 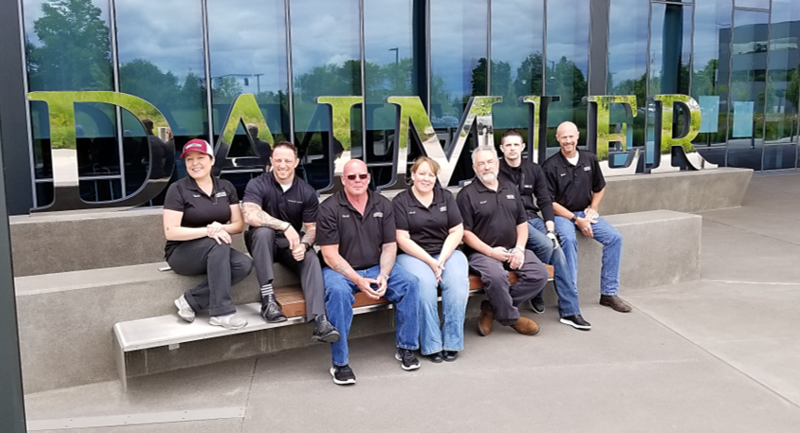 “SPD is a great team building experience that will enhance our culture while focusing on providing an exceptional customer service experience,” said Linda Meacham, Business Operations Specialist/CIC Spokane, WA. 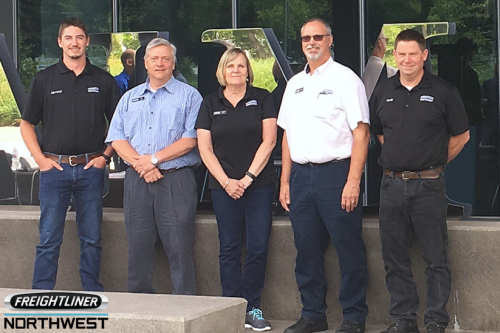 FNW-Mount Vernon, WA also attended SPD during the third week of June, expanding the GTC Dealer Family effort to increase efficiency and minimize downtime while providing excellent communication and consistently superior customer service for every customer, every time. The GTC team is committed to keeping customers on the road as well as providing quality and value across the store network. Built upon a 30 year history of helping customers satisfy their transportation needs, Gordon Truck Centers, Inc. is an expanded network of dealerships doing business as Freightliner Northwest, Western Star Northwest, and Freightliner of Hawaii. The Dealership Family has 12 locations located off nearly every major highway throughout Washington, Oregon and Hawaii. As a full-service Freightliner, Western Star, Fuso, Wilson Trailer, Reitnouer Aluminum Trailer dealership family, GTC can sell, finance, insure and service commercial trucks for medium and heavy duty applications.